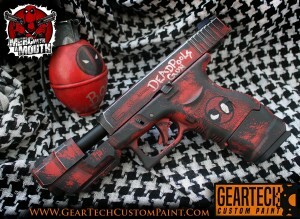 GearTechCustomPaint offers offers a custom paint service for all things cool. Wethere its your favorite airsoft AEG, console controller or tactical kit. Choose from one of the many conventional camo schemes out there or a theme from your favorite game or movie we, can give you something that will be unique to you. With over 20 years experience painting things professionally we work closely with the customer to ensure the finished article is exactly what they want. 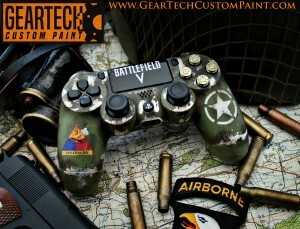 Visit the shop section to view our range of custom controllers. Xbox or Ps4. Choose from a range of complete items or custom painted shells. If you have your own ideas or designs click on the ‘Paint commission’ tab on the home screen or send us an email. We can also supply you with a range of custom tactical gear, from helmets to body armour with more designs landing in 2018. If there is something in particular you are looking for drop us an email and we will try supply it to you at fantastic prices.